Over the weekend, popular online game Minecraft successfully pulled off a virtual music festival featuring performances by over 50 up-and-coming artists and producers. Fire Festivaldrew in thousands of users over two days, and created a one of a kind multi-platformexperience fit for the digital era. Outside of being a free virtual festival users could engage with from the comfort of their own home, Fire Festival gave users the additional flexibility of “attending” from three unique digital platforms. The event's website allowed users to stream to the performances online. 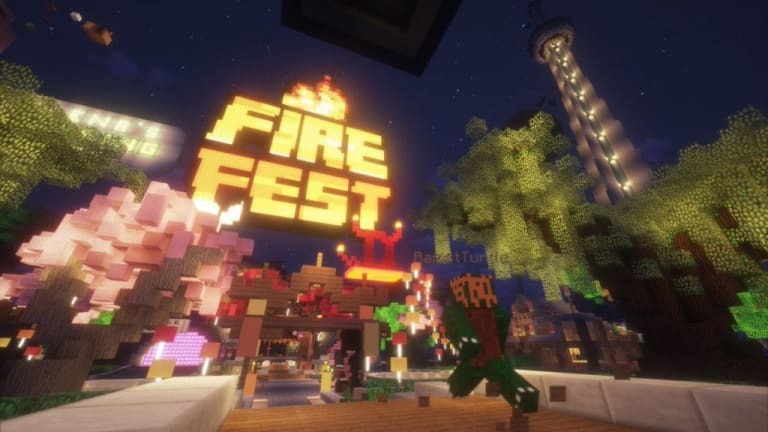 Fire Festival's Discord chat allowed users to listen to the music and engage in conversation with fellow users. Meanwhile, their virtual grounds hosted in Minecraft gave attendees the ability to navigate a robust virtual landscape, see and hear each performance, and engage with fellow attendees in a digital setting. One of the festival's organizers, SLEEPYCATT (real name Max Schramp), has shared recordings of each Fire Festival set via SoundCloud. Listen to the performances from the largest virtual music festival to date below.